In three years of Colorado's legalized adult use cannabis, the state has collected over $236 million combined from its 2.9% sales tax and 10% retail tax. Denver leads the state in cannabis revenues, having raised nearly $88 million from adult use sales -- more than the $80.5 million raised by the next five highest-earning counties together. 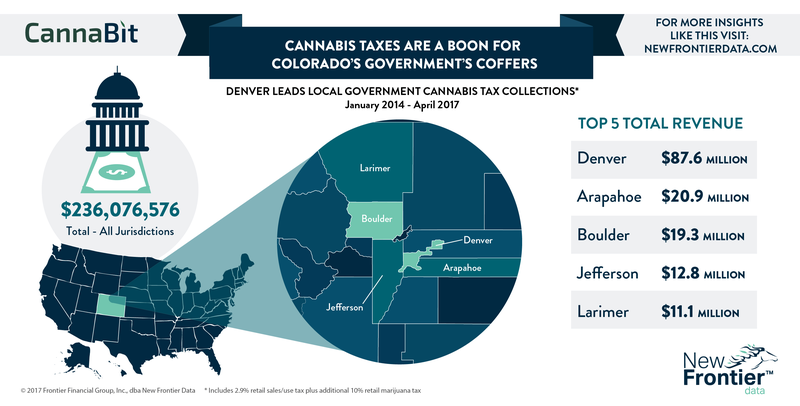 The significantly higher revenue in Denver reflects its much greater density of cannabis businesses compared to other counties in the state. Recognizing how cannabis taxes help address Colorado’s budgetary shortfall, lawmakers increased the retail marijuana tax to 15% effective July 1, which will expand the revenues earned from the state’s booming industry.